It is no easy task to pull off a backyard wedding under typical circumstances, but when Elle and Nitish decided to tie the knot, they faced the unique challenge of bringing important elements of Indian wedding tradition to her family's rural Columbus acreage. Elle's father built an outbuilding just for the reception and tamed the mosquitoes hiding in the lush green forest surrounding them. 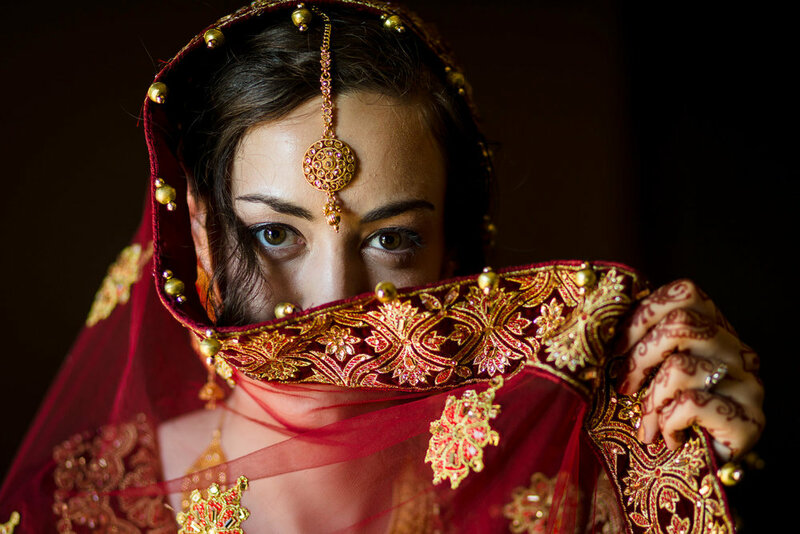 Elle and Nitish traveled back to India for Elle's stunning hand made lehenga as well as Nitish's sherwani and the attire for the entire wedding party. 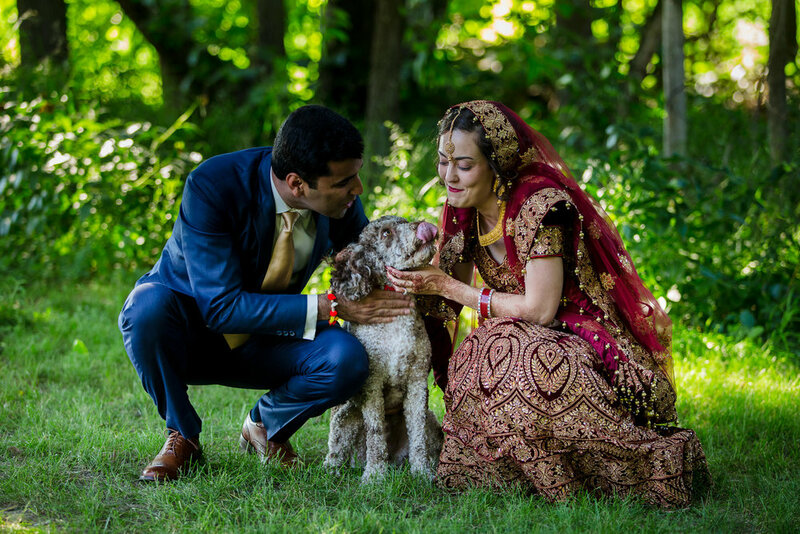 Their wedding programs included details about both American and Indian wedding traditions, and they even found a white horse for the baraat, or pre-wedding parade of the groom's family and friends. Saturday dawned clear and cool for July, and despite the hiccups that occur with such a jam-packed wedding day, Elle and Nitish breezed through everything with class, joy, and humor. And there wasn't a dry eye in attendance as they read their beautiful vows to each other. Thanks so much to both families for welcoming Olga and I on this important day. Its a wedding we won't forget!